Capture your screen, annotate it and share screensnap over the Globe in three clicks! Then it drops the selected-area marker on your screen, where you can crop the area to be sent over, mark or comment it, just like you would do with a pencil over a sheet of paper. Just a click on the 'Share to Web' button, once all the manipulations are done, completes the work, and in a few moments you will have the Web link to the image in the clipboard. 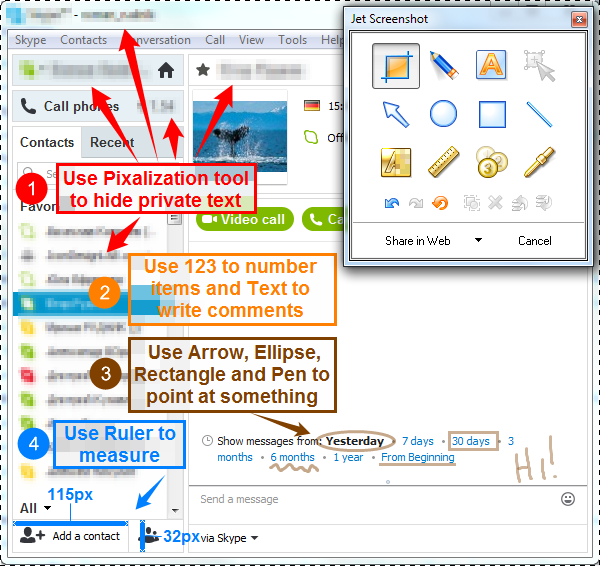 Now simply hit Ctrl+V in any online messenger or e-mail to show your screensnap to others. It's up to you how you'd like to capture your screen - by clicking on the application icon in the tray or by hitting a keyboard shortcut. Keyboard shortcuts can be defined in the program settings available through the context menu that appears by right-clicking on the application icon. 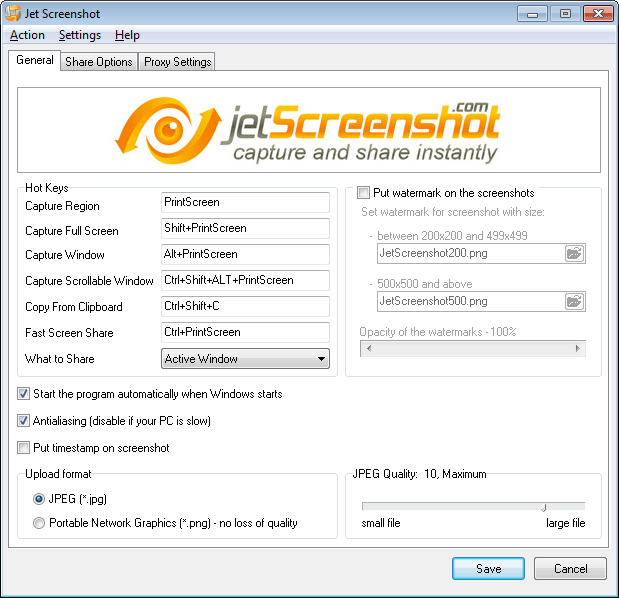 Jet Screenshot offers the user 4 ways to share captured screen shots: Share in Web, Share to FTP, Save to File, Copy to Clipboard. 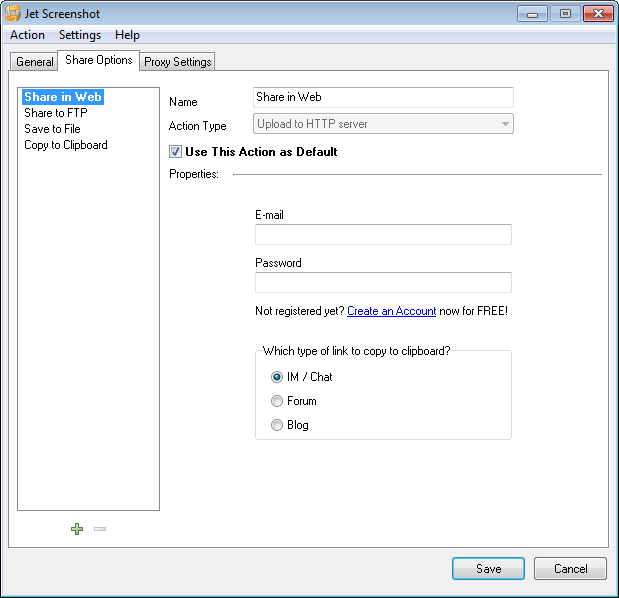 Each share option is fully configurable and can be customized to the user preferences in the Change Settings dialog. 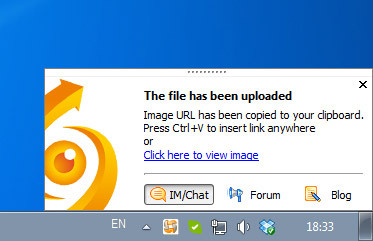 The Share in Web option uploads images to the image hosting server at my.jetScreenshot.com. As an unregistered user, you are only able to use this server in the demo mode and store images only for 24 hours. However registering a FREE account on the server removes these limitations. 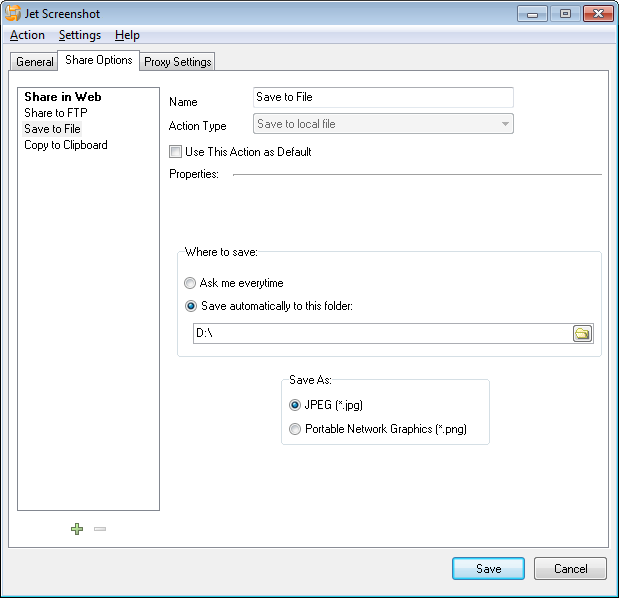 The Share to FTP option uploads images to the demo folder at jetScreenshot.com. 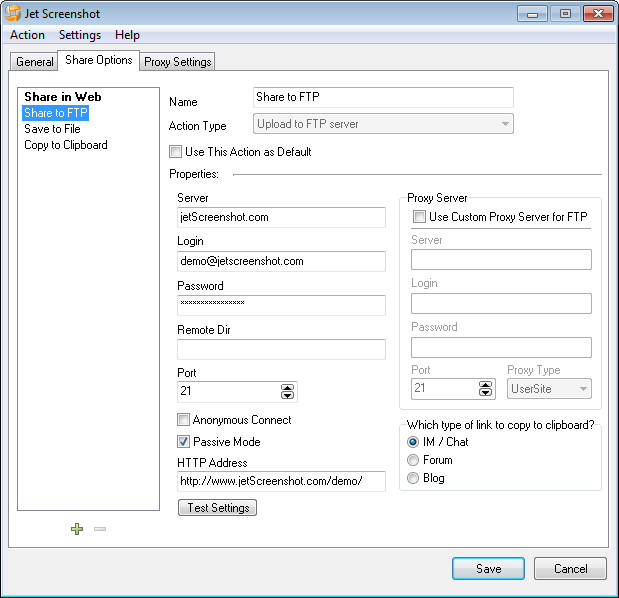 If you have your own FTP server, you can easily enter its details to Jet Screenshot and upload screen shots to your own FTP server, which more convenient. 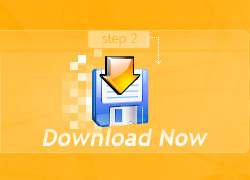 The Save to File option allows you to save images to file in target folders on the local computer. The Copy to Clipboard option allows you to copy captured images to clipboard and paste to image editors for editing.